Welcome home to this cozy ranch located just outside of a cul de sac in a quiet, mature neighborhood with NO HOA's!!! Three bedrooms, 2 full bathrooms. Freshly painted throughout. New 12mm laminate wood flooring with added underlay in all the living areas. New hardware in kitchen and light fixtures in living area. Larger fenced backyard. Close to I-77, 485 and all the shopping, dining, and entertainment options the Northlake area offers. Great for first time homebuyers or those looking to downsize. Refrigerator, washer and dryer convey. 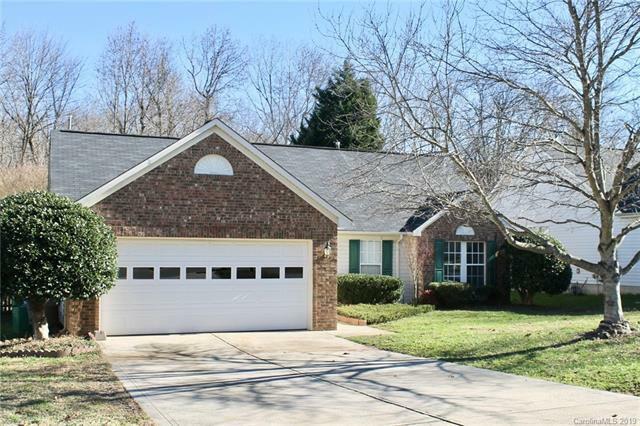 Sold by Elite Homes Of The Carolinas Llc.